This is step by step by guide with images on how to access to control panels commands from “run” . Most of the time we access control panels tools via start menu –> control panel.Today i will tell you some shortcuts from that you can easily access that tools from “run” window directly. 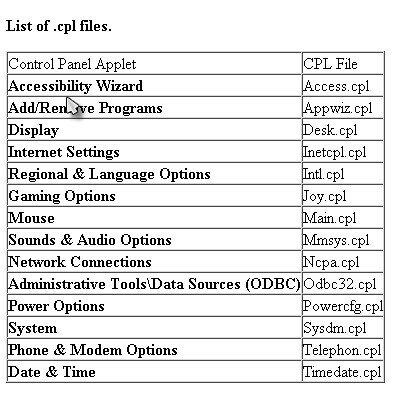 All the control panels tools are reside in folder c: –> windows –> systeam32 .All the tools of control panel have extension .cpl(control panel) you can also open the tool from that folder too by double clicking on it. As you can see in above image some control panels tools name .Now how to access that tools directly(follow the procedure). Go to start then search “run” and click on “run” or you can also open “run” from “windows key + R ” shortcut(see image below). After opening “run” you can enter the name of control panels tool in it . Lets see i want to open time and date panel then i will enter the tool name in the rum window (see image below). 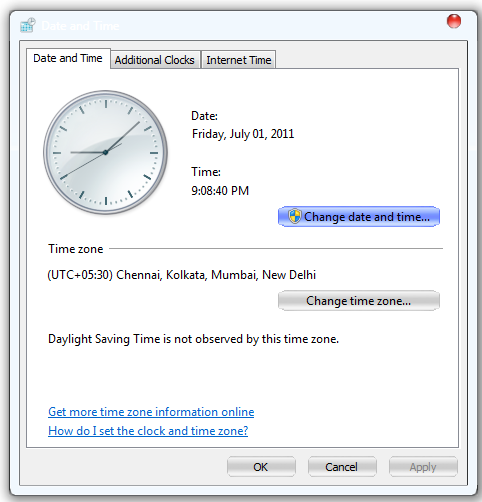 After clicking enter or clicking ok , the date and time panel will open see below image. You can Try more commands given above in image and give below in section .